Modify blowgun for better flow. Anatine Duo wrote: Modify blowgun for better flow. That would be a way to optimize it but there's probably some restriction here that we're not seeing. 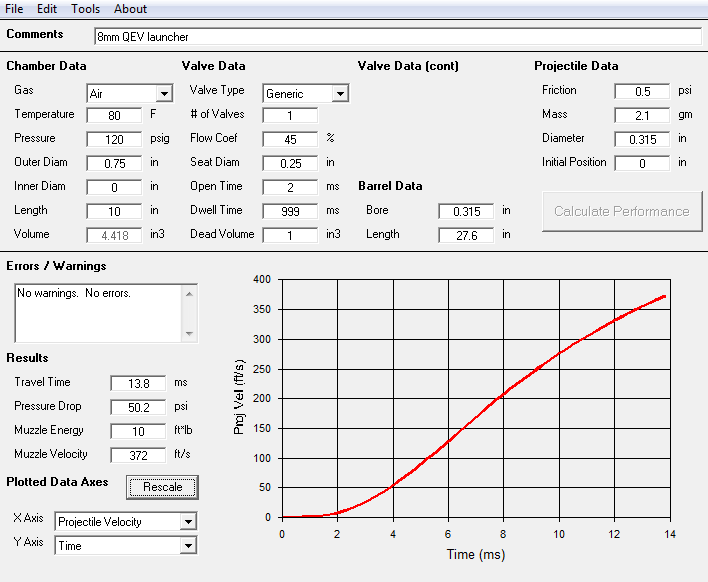 At 120 psi he should be seeing good performance regardless given the chamber size, barrel length and QEV. That being said, 8mm counts as "small caliber" in the spudgun world and 120 psi is relatively low. 10 ft lbs isn't really that much, heck they'll let you own that in the UK without a loicense! I think Haniball1337 should be looking for a higher pressure source, maybe a fridge compressor as popularized by his fellow countryman. If i will put bigger chamber i will get more power? Last edited by jrrdw on Tue Apr 09, 2019 4:21 pm, edited 1 time in total. Reason: Triple post. Fixed video tag. While exceeding the manufacturer's specifications is never advisable, QEVs of this design have been taken beyond 500 psi by the members of this forum. As to the blowgun, this will be too hard to operate at this pressure so a ball valve pilot would be a better idea. Your chamber is too large for a shock pump, it will take you forever to reach 450 psi. Your best bet is an airgun pump like this one, alternatively a fridge compressor is a way to get that pressure easily and cheaply as per POLAND_SPUD's tutorial. Not really, more pressure is the solution. Alternatively, if this is not an option, consider going up in caliber. If you keep the same setup but change for a 19mm barrel firing 0.75" steel balls, you will get double the muzzle energy. So if i will do that it will work? 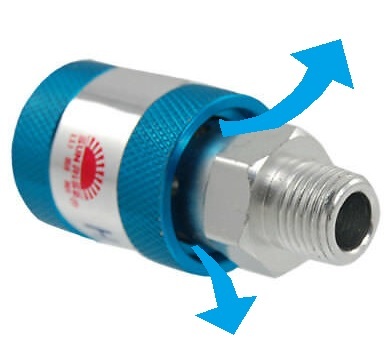 (This is bicycle valve ), If i good understand the air doesnt go behind the slide valve but from above? So if i understand it can be little better than that one with air compressor gun ? Technically it's more like this but yes, you get the idea. It will work as you drew it. It will work, but are you actually planning on using a plastic bottle as a reservoir? You're better off locating a paintball bottle or fire extinguisher, something that will take higher pressure and possibly including a regulator to give you more shots per fill.